and he walks the walk." Flanzig and Flanzig, LLP is a nationally recognized law firm representing the rights of seriously injured cyclists and their families. We are avid cyclists and safe street advocates with a combined 62 years of experience litigating on behalf of seriously injured crash victims in New York. Partner Daniel Flanzig serves on the Board of Directors and is a legal advisor to the New York Bicycling Coalition, New York's only statewide bicycle advocacy group. He has authored numerous articles and frequently lectures on bicycle litigation in New York. 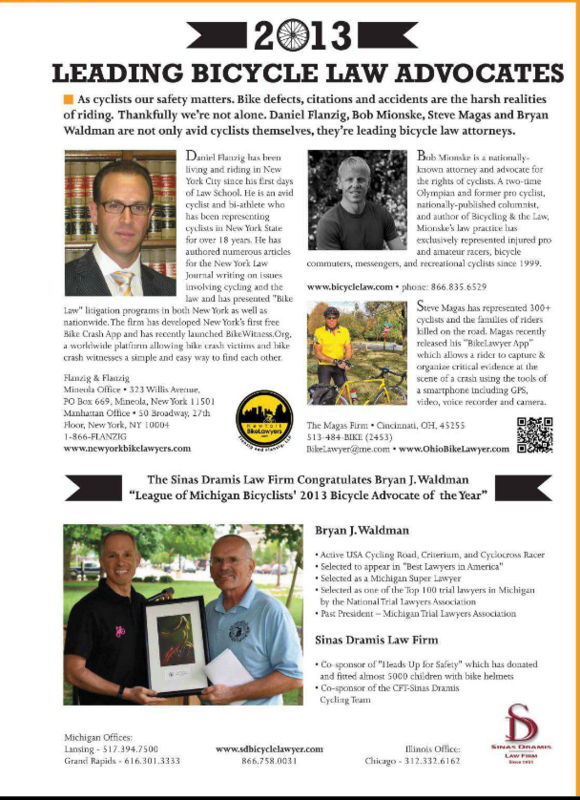 Daniel has been featured in both The New York Times and Bicycle Times Magazine for his work as a leading Bicycle Law Advocate and a New York Bike Crash Lawyer. With offices in both New York City and Long Island, we are able to represent cyclists, pedestrians, and other crash victims throughout the New York Metropolitan area. We are and remain a leader in the safe streets movement working everyday to make New York a better and safer place to ride and walk. Our results speak for themselves. Our firm has obtained record setting results as seen in The Top 25 Settlements in the State of New York* for those involved in bicycle, motorcycle, pedestrian and motor vehicle crashes and accidents. Visit our results page to learn more. Our firm offers the unique difference of being both an accomplished Personal Injury law firm as well as being dedicated bike and safe street advocates. Our advocacy worked has helped change the New York cycling landscape by bringing justice to victims of negligent and reckless drivers as well working with local advocacy groups to make our streets safer through legislative changes and more livable streets. We have helped get negligent drivers off the road when the police and justice system failed to get this done. As Trial lawyers, we have a proven track record of trying significant personal injury cases and obtaining seven figure verdicts and settlements for our clients. Our firm has continued to be listed as one of "New York's Super Lawyers" since 2007. 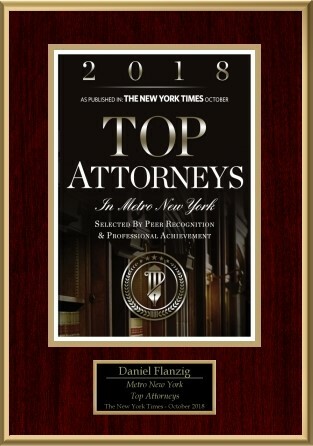 The New York Law Journal has continued to report our successes as "Top 25 Verdicts and Settlements of the Year" as a result of obtaining some of the highest settlements and verdicts in the State of New York. Our results have placed us on both "The Million dollar Advocates Forum" and the "Multi Million Dollar Advocates Forum" for the seven figure results we have obtained on behalf of our clients. Our firm has consistently received a Martindale Hubbell AV Preeminent rating from our peers for our firms ethics and ability and have been recognized as one of the "New York Areas Best Lawyers" by ALM Media. We believe this combined experience makes us unparalleled to any other crash victim law firm in the NYC area. Download Our FREE App Over 1,000 Free Downloads to Date! After seeing a pattern of cyclists unaware of what information to obtain after a crash we realized there was a need for a simple and complete method to gather post-crash data. In 2012, we developed New York's first Bike Crash App. The App is available for all i-Phone and Android Devices. Our free App (the first of its kind) has been downloaded and used by cyclists around the world. Riders find our App to be a useful tool to have, both before and after a crash. Press and reviews about our app have been found in Australia, the Philippines, Antwerp, Canada, London and Denmark. To date, the app has been downloaded over 1,200 times!